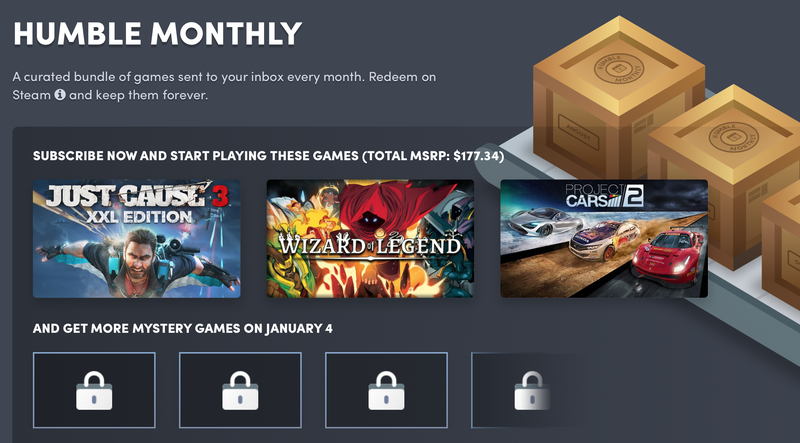 Even at its usual $12 per month, Humble Monthly is an amazing deal for PC gamers, but for a limited time, you can pre-pay for a whole year for $99. That deal is valid whether you’re an existing subscriber or a new one, so what are you waiting for? This month’s early access games are Just Cause 3 XXL, Wizard of Legend, and Project Cars 2, and as always, more mystery games will unlock at the end of the month. Every game you get is yours to keep forever, whether you remain a subscriber or not.